Well, 489 stories to be exact. Seven long years bring loads of memories with them. 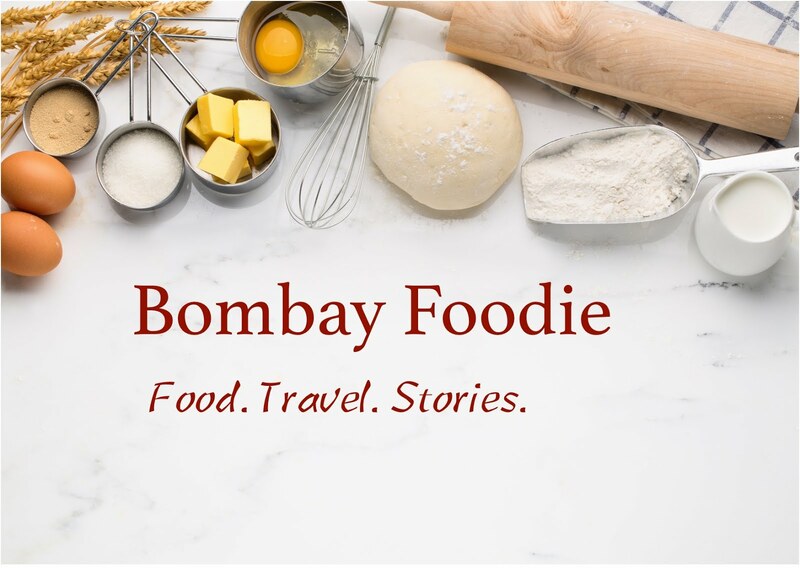 And to celebrate those memories and to wish this dear blog a happy birthday, here are seven more stories about Bombay Foodie. 1. This isn't my first blog. I first started blogging way back in 2005. The blog was called Bombay Musings. I'd just moved to the city then and Bombay Musings was my diary, a chronicle of my discovery of the city. 2. It isn't just a quote. A lot of people ask me about the quote on the blog header. The reason I picked this one is because it pretty much describes my approach to food. I am a carb junkie and I can eat a baguette with cheese pretty much every day. As for tea, it isn't a good day if I don't get 2-3 cups of strong, sweet, milky brew. Tea makes me happy. 3. I don't cook a lot. I can obviously cook a lot of things and I have cooked 400+ of them for this blog but I don't cook everyday. I have a fabulous cook who does that. Me, I mostly experiment and rarely cook a dish twice. 4. I love junk food. I sneak into McDonalds to eat fries and I order in a lot of pizzas from Pizza Hut - all of them paneer makhni pizzas. 5. Even though this is a clear contradiction to my previous point, I am one of those weird people who actually enjoy eating fresh fruits and salads. I even had my very own nicknames for an apple and a tomato when I was a kid. 6. I own a lot of cookbooks, all of them with pretty pictures. Because I rarely cook from a book, I buy them purely based on how they look and never mind how the recipes are. 7. I still can't believe people actually read the blog and get super excited when someone tells me they cooked one of my recipes. A big shout out here to Anchal who once made my day, made my whole month in fact, by recognising me from my pictures she had seen on the blog profile. Happy Birthday once again, Bombay Foodie! And if you are reading this, thank you for being a part of my food journey. 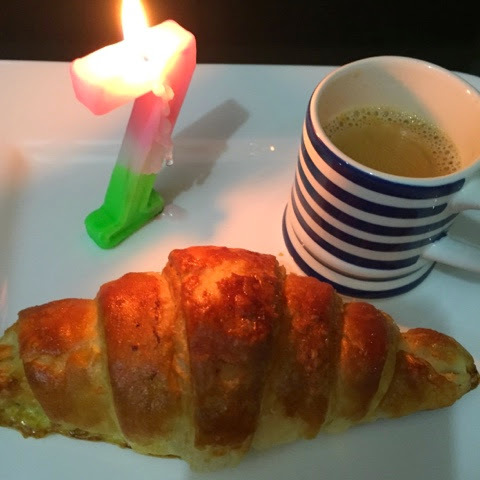 Simmi, though I am month late in wishing your blog, here's wishing many more years to your blog!..I have always enjoyed reading your adventure and the food that comes out!..enjoy!